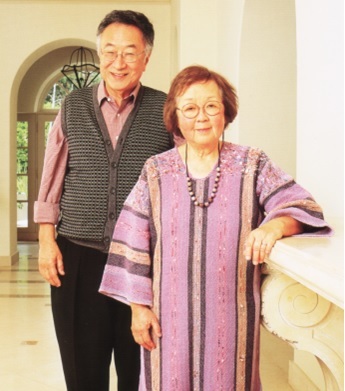 Dr. Paul I. Terasaki and his wife Hisako are philanthropists and longtime friends of UCLA who have contributed more than $58 million to UCLA over the past four decades plus, including $50 million toward the state-of-the-art Terasaki Life Sciences Building and an endowed chair in surgery at the Geffen School. In 2005 the Center was renamed the Paul I. and Hisako Terasaki Center for Japanese Studies to commemorate a major endowment from the Paul I. And Hisako Terasaki Foundation. This gift allowed the Terasaki Center to create the Terasaki Chair for the Contemporary Study of Japan, the Terasaki Community Outreach Program, and the Terasaki Postdoctoral Fellowship. The Terasakis are also deeply involved with the Japanese American community, dedicating their support to organizations such as the U.S.-Japan Council, the Japanese American National Museum, the Japanese American Cultural and Community Center, and the Japanese American Memorial Foundation in Washington, D.C.
Dr. Paul I. Terasaki passed away on January 25, 2016. He was 86.